Heather looking good, feeling good, and smelling after running 50 miles! You are impressive and inspiring!!! This Saturday is the Teen Gauntlet – Austin, Avery, and Brian will be participating. I believe everything kicks off at 830am in Oroville. Sounds like it will be a small event so I am sure it won’t take all day. If you want to come support the athletes we can car pool from the box. ***We will still have a Saturday class! H Bomb- you are amazing! – smelly and all. 🙂 I just ran 3 miles before work- so ha. Hehe. Ha, that was supposed to be smiling! Good job Heather! Quite an impressive accomplishment. Nice job H-bomb! 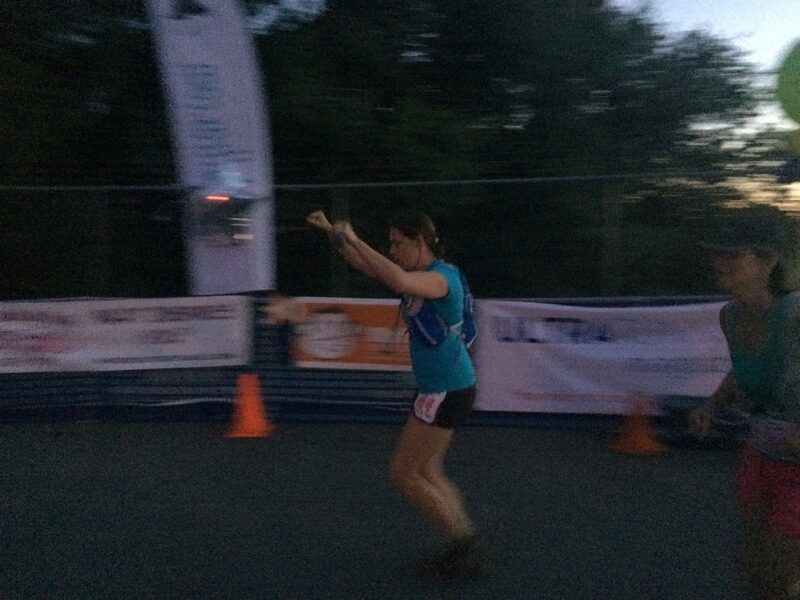 Way to fist bump the finish line!! Modified at work. Did emom for 15 min of 55# db snatches alternating each arm for 4 reps. Also started with 20 minutes on the bike and finished with 5 min on the bike.